Minneapolis, Minn., (5/6/2009) – The RANGER RZR S continues to have a stronghold in the WORCS series with two more class wins and a one-two in the overall at WORCS Round 4, at Honey Lake MX Park, in Milford, Calif.
Mark Holz took the “UTV Class 1” and overall to add to his first-place series point standings. 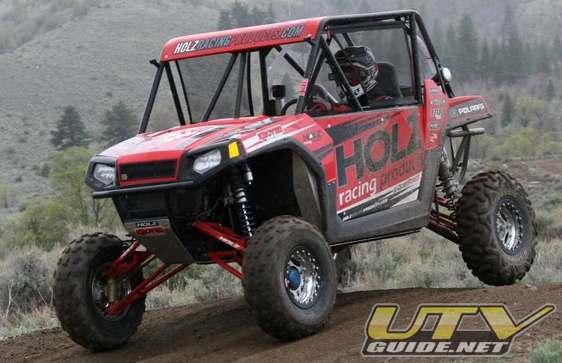 Holz entered the race coming off of a win at the Best in the Desert, “Terrible’s 250,” in Primm Nevada, proving the flexibility of his RANGER RZR S.
The Holz Racing Products, Kroyer Racing Engines powered Polaris RZR driven by Mark Holz, continued its winning form in World Off-Road Championship Series (WORCS) competition with another victory in the Pro UTV class in Milford, California. The win marked the third victory in just four races for Holz, as he leads the year-end point battle with four races remaining on the season. 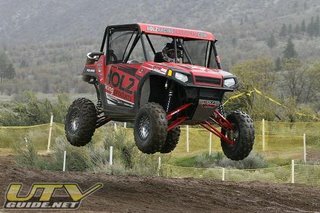 “There is a big difference between the short course WORCS series and long course desert racing but my RANGER RZR S does great in both,” said Holz. 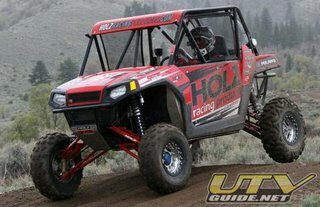 Holz is sponsored by Holz Racing Products, Polaris, Kroyer Racing Engines and Maxxis Tires. 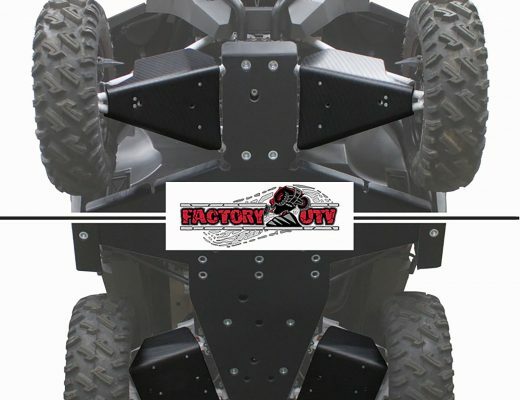 With annual 2008 sales of $1.9 Billion, Polaris designs, engineers, manufactures and markets off road vehicles (ORVs) including: all-terrain vehicles (ATVs), the Polaris RANGER, snowmobiles, and Victory motorcycles for recreational and utility use. Polaris Industries Inc. trades on the New York Stock Exchange under the symbol “PII,” and the Company is included in the S&P Small-Cap 600 stock price index. Information about the complete line of Polaris products, apparel and vehicle accessories are available from authorized Polaris dealers or anytime from the Polaris homepage at www.polarisindustries.com.